Ive been looking for exactly this for SO LONG! It's hard to find others who share my love for Frasier! I'm excited to meet y'all! Where's everyone from? I'm from MS, USA. I hope you'll find this place satisfactory. There are quite a few threads to which you can respond already. This place is beginning so it may not be as big yet as it could be. Hopefully it'll grow and thrive, thanks to the coming of people like you. 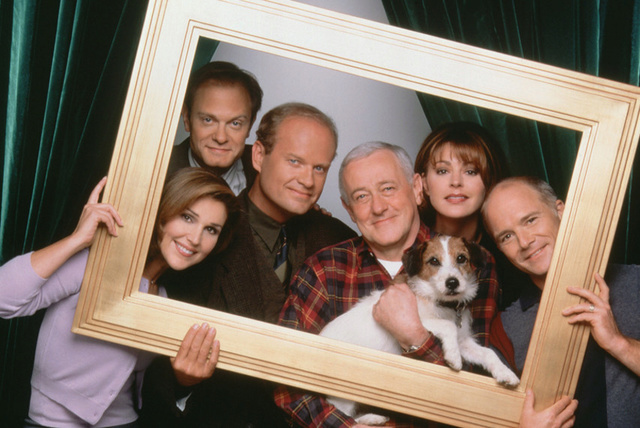 Welcome to Frasier Forums! We've been established since the end of June so there isn't that much yet, but if you want to post something that there isn't a topic for, please do so. Maybe in a few years time we'll be bigger and better than ever. I have been looking for a good place to find trivia for a while. I always ask my parents to give me questions, but they can never stump me! Excited to connect with some fellow fans! Hello and welcome! Hope you have lots of fun here . I'm from Serbia, by the way.